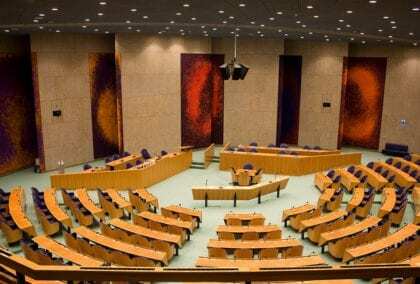 On December 15th 2016, the ‘committee for citizens’ initiatives’ decided not to allow a discussion in Dutch Parliament about the proposal, organized by Basisinkomen2018, to implement a universal basic income (UBI) in 2018. Although enough citizens signed the citizens’ initiative (more than the threshold of 40.000), UBI will not be discussed in Parliament because it already has been discussed in reaction to the ‘note of initiative’ (“initiatiefnota”) of the member of parliament Norbert Klein in September last year. The rule is that a topic cannot be forced onto the agenda by means of a citizens’ initiative if it has been discussed in the past two years. Klein’s proposal was submitted after the start of the citizens’ initiative, it was only discussed (and not decided about) in a meeting of the committee of social affairs and did not concern an implementation of a UBI (it asked for more research). Nevertheless, the ‘committee for citizens’ initiatives’ (one of its members being Norbert Klein) decided the proposal did not meet the criteria to be admitted for discussion in Parliament. No more seats are available for this symposium, which emphasizes the popularity of the concept of a UBI in The Netherlands. Okay Norbert, you just lost my potential vote.